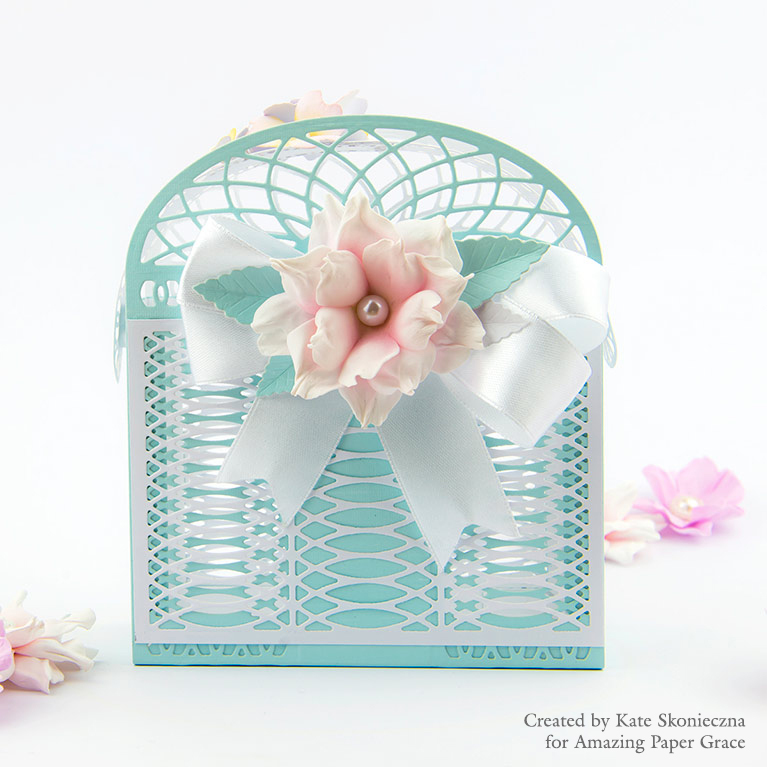 Today I'm going to show you how wonderful The Shadowbox Collection is. Instead of making an ordinary card I have prepared a 3D frame. 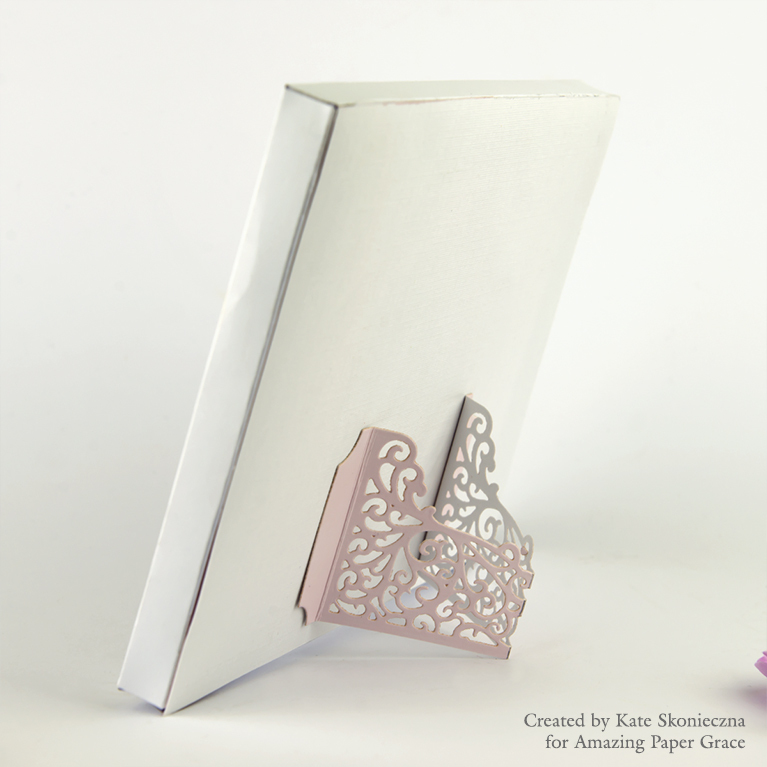 To create it I've used Shadowbox Frame with 3/4" border. At first sight, the die seems a little complicated but it is really easy to use. HERE you can see step by step how easy it is. 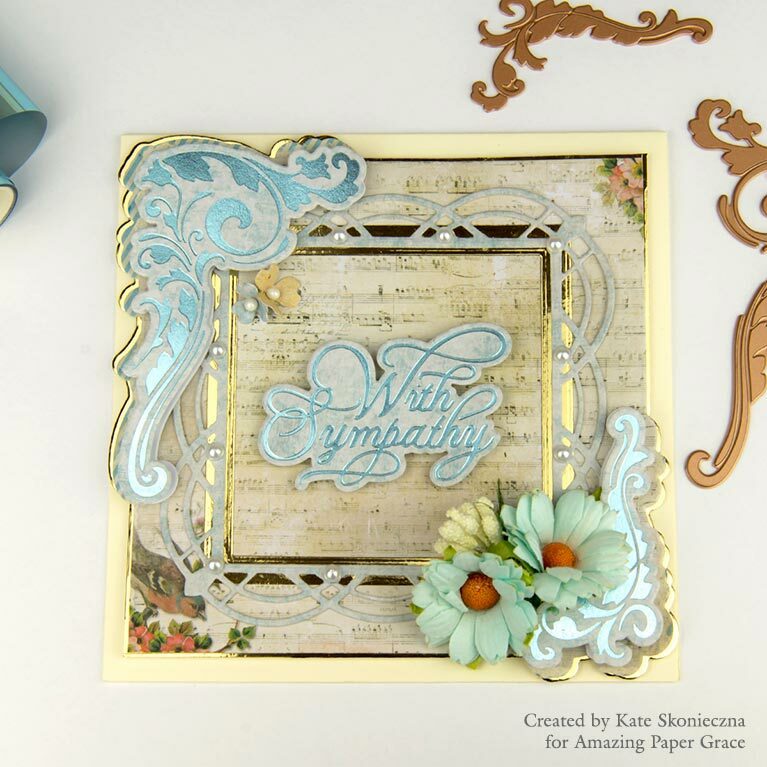 Filigree Shadowbox Easel and Pocket Etched Dies were used and put on the left and right side of the frame. I've used them as well to create an easel. 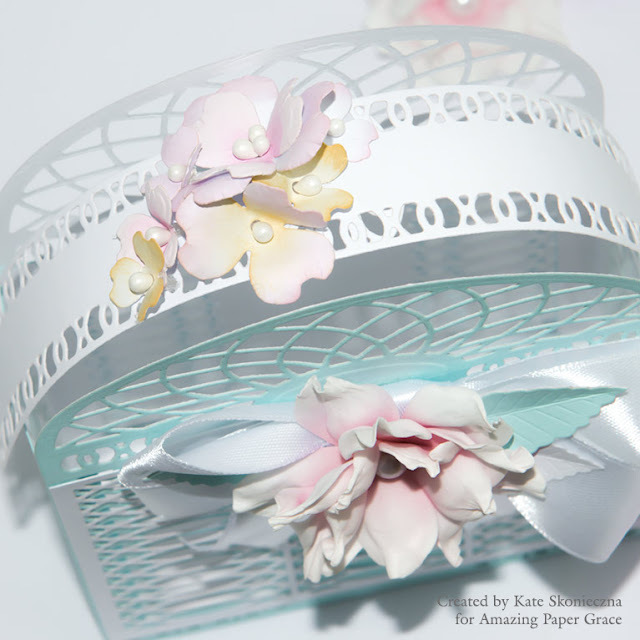 I decorated my card with handmade flowers from Cinch and Go IV. and Glimmer Hot Foil Roll - Gold. Greetings glimmeristas! Today, we are launching The Gilded Age - a small glimmer collection with some exquisite plates. Join us as we introduce five new Glimmer Sets (some with dies) and 1 brand new Die Set that has matching glimmer plates. We've eased into the beautiful habit of building card layers and layering frames with foil and the Spellbinders Glimmer Foil System. These metal plates are just like stamps and can be used for letterpress and deep embossing as well as transferring gorgeous foils to many items. 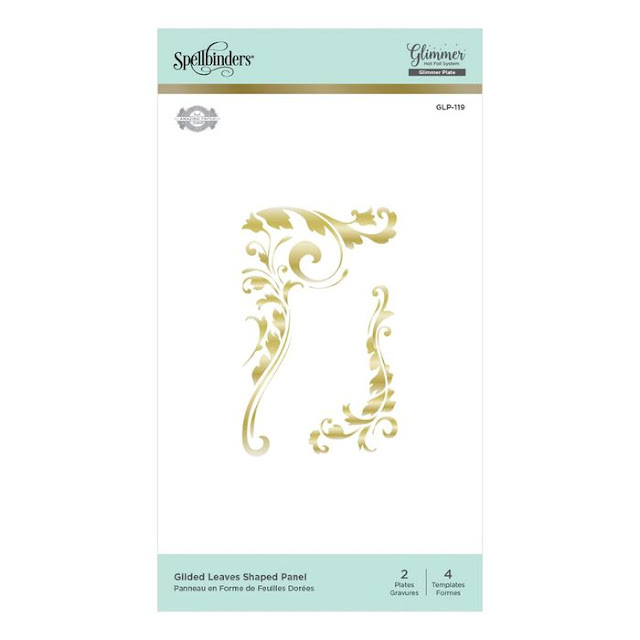 My card today is made with GLP-119 Gilded Leaves Shaped Panel by Becca Fekken . 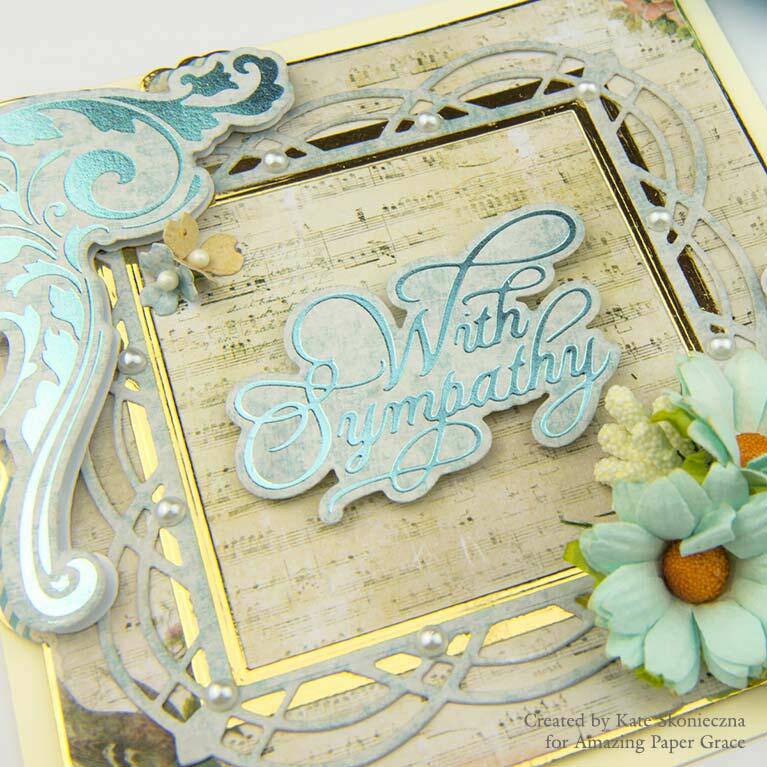 In the centre of the card, I put a beautiful sentiment With Sympathy from Elegant Occasion Sentiments, Glorious Glimmer Classic Plates Collection by Becca Feeken. For both, leaves and sentiment, I used a beautiful Teal Glimmer Hot Foil GLF-009. This colour is absolutely amazing. 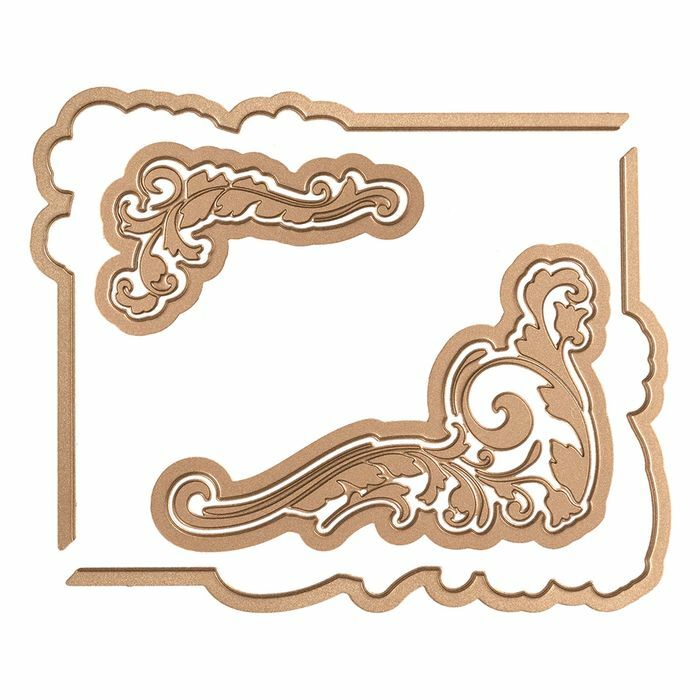 Two opposite corners of background are die cut with dies added to Gilded Leaves plates. 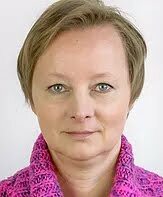 In this way leaves cohere with background ideally. My second card is made with the same GLP-119 Gilded Leaves and additional I used GLP-128 Lace Flippery Glimmer. This time I used a gold paper and Gold Glimmer Hot Foil GLF-001. The white paper I covered with creme organza and decorated a card with a bow. 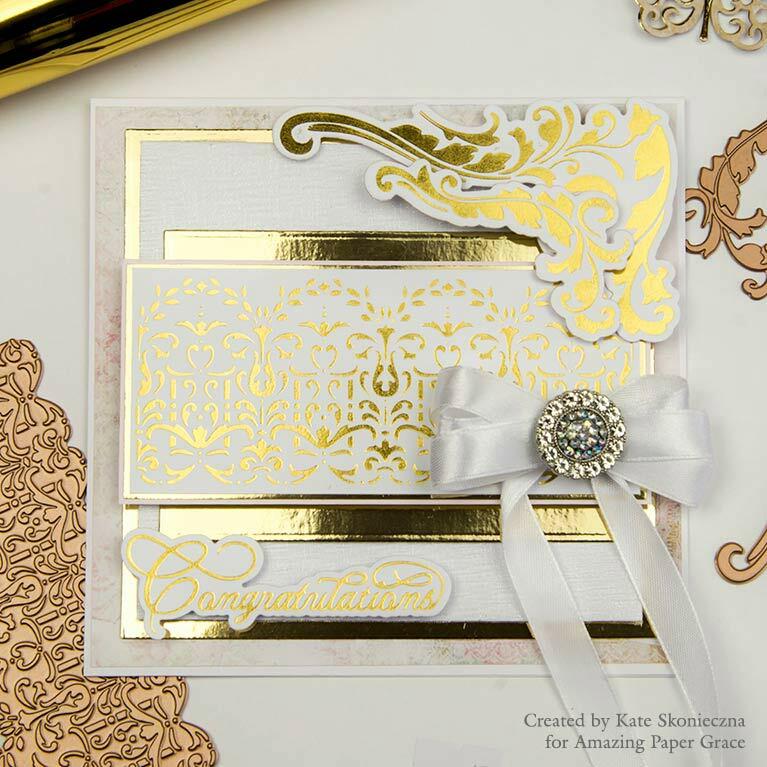 Thanks so much for joining us for the Introducing The Gilded Age Blog Hop. We hope you'll find a little bit of inspiration along the way! Don't forget to leave a comment to tell us which plate you like best - do you have a favorite? Have you tried Glimmer yet? What's your favorite way to use foils? If you are new glimmer you can see this post for answers to frequently asked questions -------> HERE. Do you ever suffer from blank page syndrome? Or you clear your schedule and your table and sit down to make a card, and bam - your mind goes blank. That's why we're here! 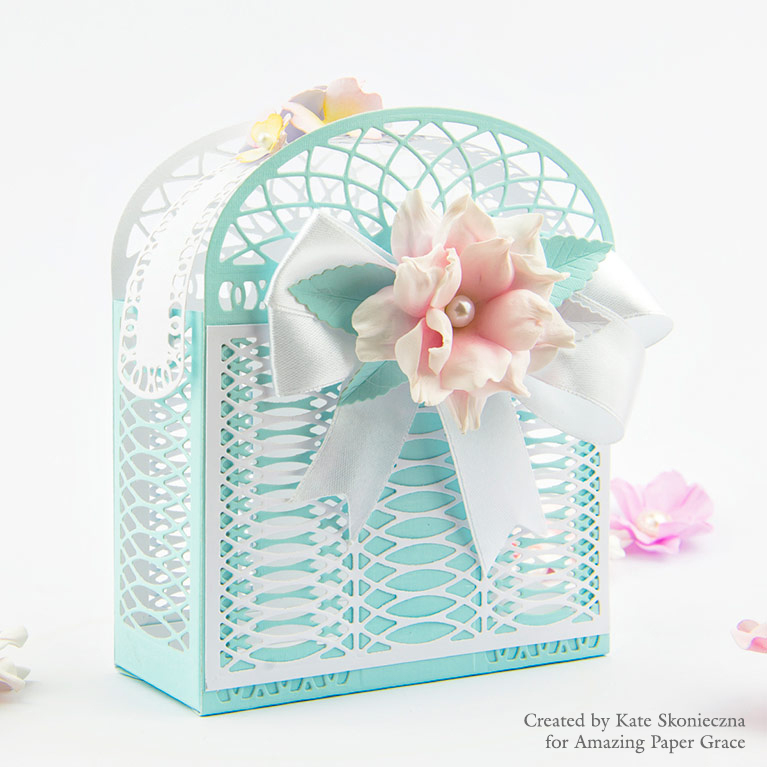 We love bringing you inspiration for the Die of the Month and today is our Die of the Month Blog Hop for March. Since we all see things differently, it's our aim to show you how each of us approached designing with this die and the lovely pieces that are a part of it. Our hope is that you snag a picture or two for your inspiration file and they come in handy next time you sit down to create. Our list of links at the bottom of the post lead to all the inspiration. The six pieces that make up Spun Blessings Oval combine to make a card front die, perfect for a background or you can creatively use all of the inlays for either accents or borders. 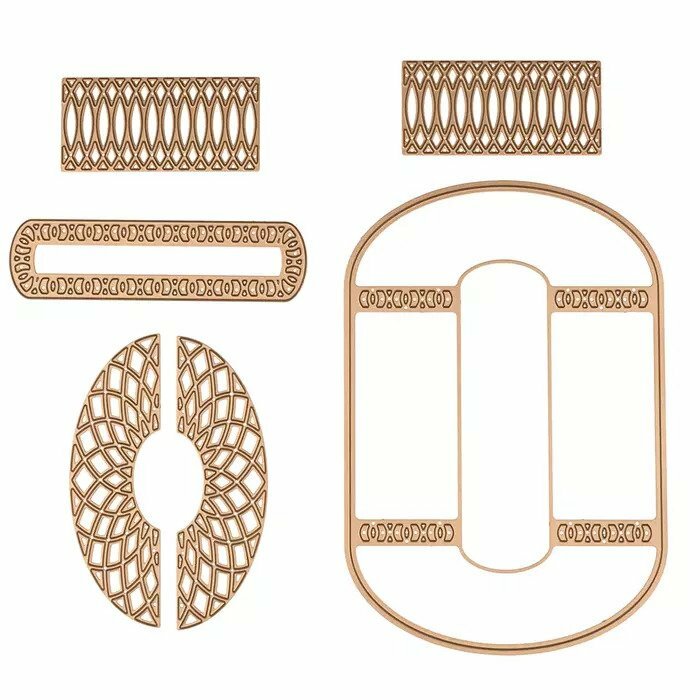 You may have noticed, it's a big die but the better to make alternative designs like the little baskets that help to create an ensemble. I did this card using only Die of the Month. To decorate I've used a peach ribbon and a foamiran flower. To get a light pink colour I used an oil pastel. In the middle of the flower, I put a white pearl. 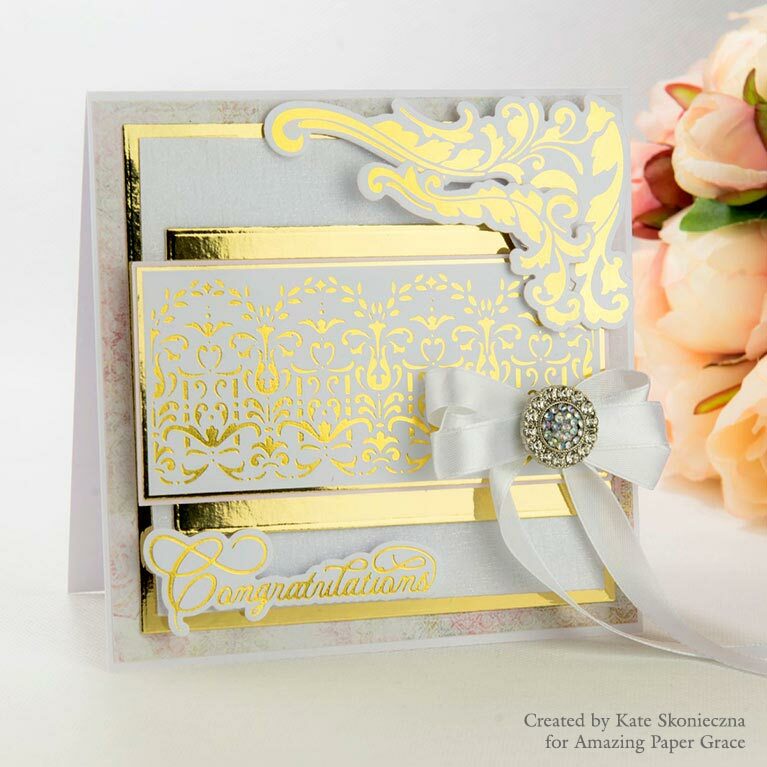 To prepare this box I used Embossed Quality Card 280gsm. 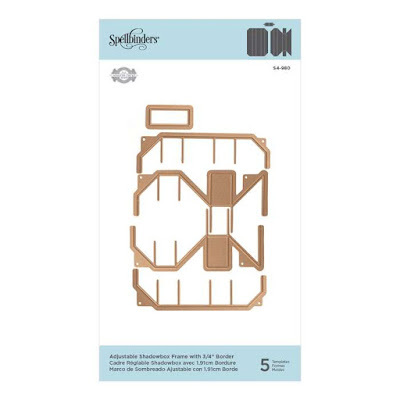 It's quite thick and it is perfect for 3D project. To obtain the mint colour of the paper, I mixed white and mint paints and painted the paper. The flower is made from a white foamiran. 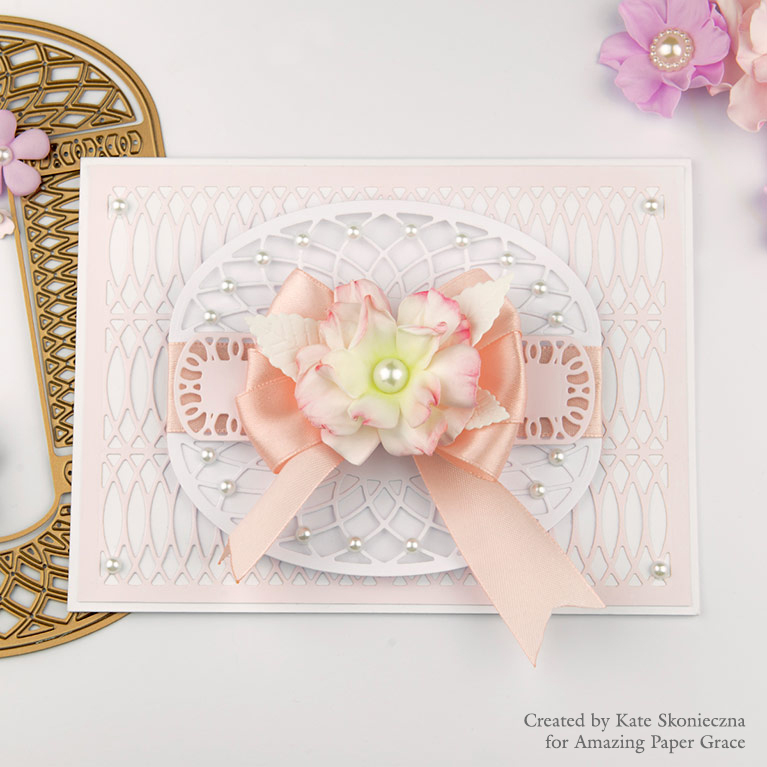 Accessories: Amazing Paper Grace March 2019 Die of the Month, Spellbinders S4-982, Peach Ribbon, White Ribbon, self-adhesive pearls. I have prepared a new card for you with a new collection by Becca Feeken with Amazing Paper Grace Shadowbox Vignettes. 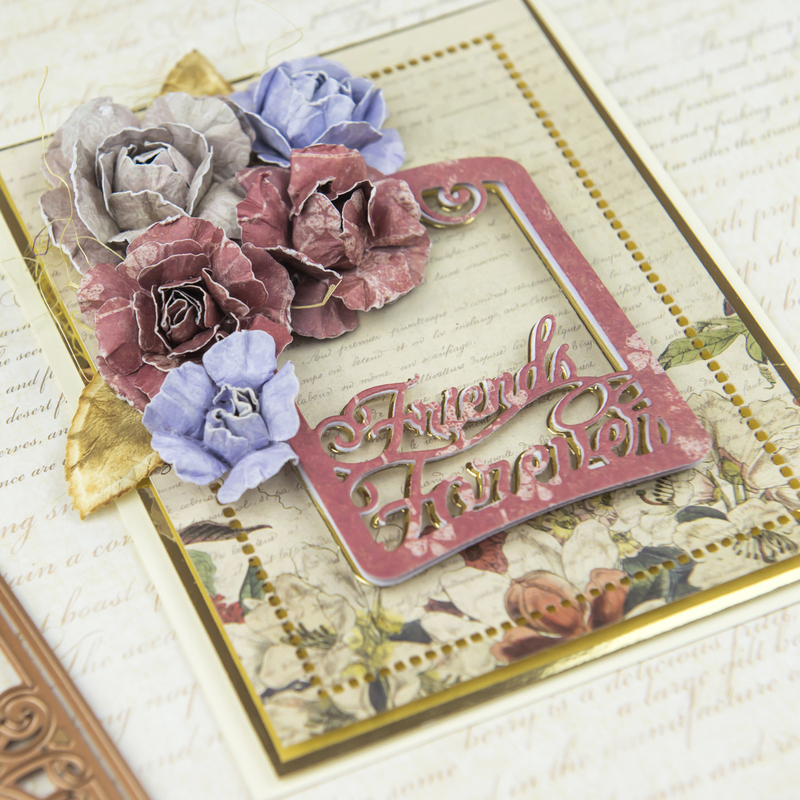 I die cut Friend Forever three times (in gold, in white, in red) and glued them together using 3D tape. 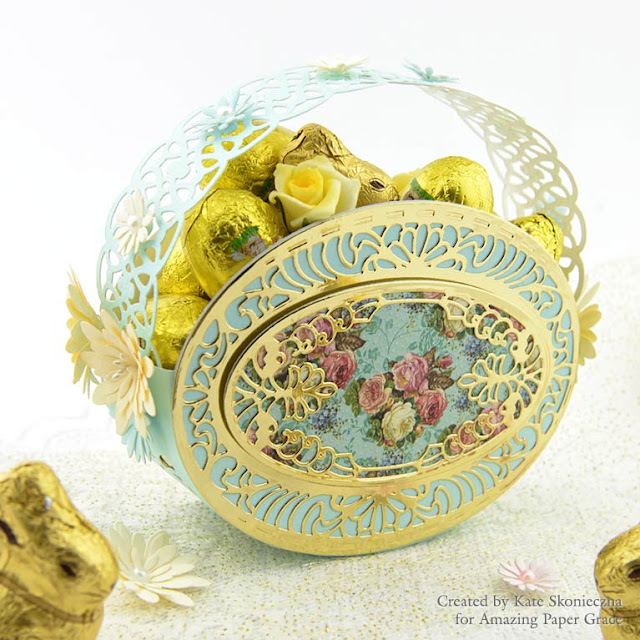 The background is made from gold and floral paper. 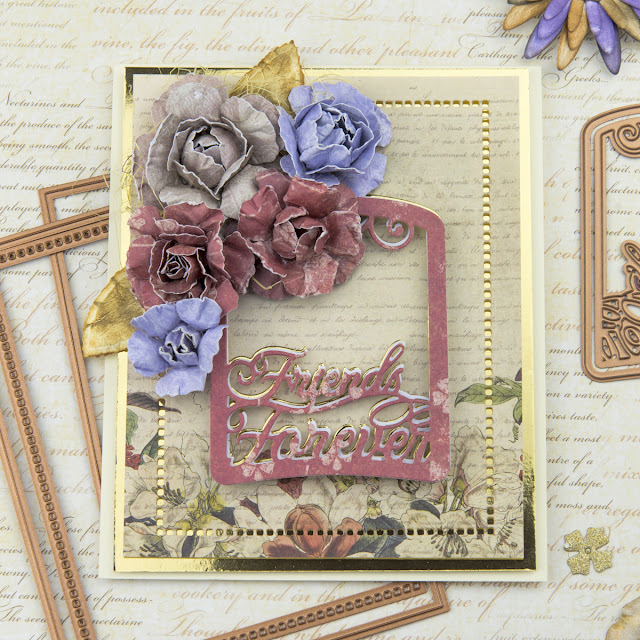 I've used Hemstitch Rectangles Etched Dies Venise Lace by Becca Feeken to decorate the edge of the card. Flowers I've made from a quite tick paper.